The driver of a car that struck and injured a teenage girl in front of Abington Senior High School has now been charged. 32-year-old James Clark IV has been charged with aggravated assault by vehicle, reckless endangerment, and other related offenses. It happened on August 23rd around 2:45 p.m. on Highland Road. Initial reports stated that 14-year-old Kelly Williams was crossing the street while distracted by using the video chat program FaceTime on her iPhone. Investigators determined that although she was on her phone she was not at fault in the accident. Montgomery County District Attorney Kevin R. Steele says that Clark was traveling 46 mph in a 25 mph zone and hit Williams while she was in a crosswalk. The girl was thrown about 100 feet. She suffered several internal injuries, multiple broken bones, a concussion, any other abrasions. Steele said, "This crash involving a speeding car and a girl crossing a street within a marked crosswalk happened right outside of a high school as teenagers were coming and going to sports tryouts, cheerleading practice and other activities that signal the beginning of the school year." Clark was released on his own recognizance. A preliminary hearing is set for October 11th. A person riding an electric bicycle was struck and killed Monday afternoon in Bucks County. It happened around 2 p.m. at the intersection of Street Road and Central Avenue in Lower Southampton. 50-year-old Matt Petcel was riding the bike westbound on Street Road and crossing over Central Ave. A driver of a rented van was driving the opposite way on Street Road and turned left onto Central Ave into the path of the bike. Petcel ended up crashing into the van's passenger door. He was pronounced dead at the scene. Street Road was closed as officials investigated. 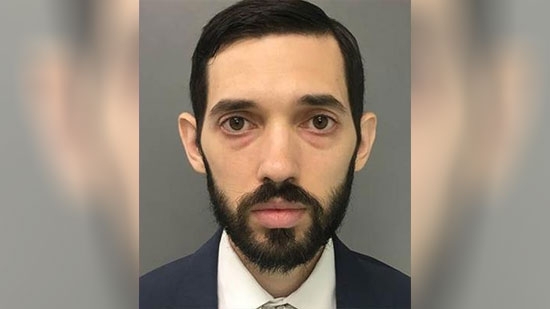 A former New Jersey postal worker faces charges of worker's compensation fraud after he posted photos of himself zip-lining and rappelling on vacation. 59-year-old Robert McGeehan of Lower Township in Cape May County is charged with second-degree theft by deception and third-degree insurance fraud. He is accused of stealing over $75,000 in federal workers' compensation benefits. The vacation photos were posted in July 2015. Investigators also recorded him doing strenuous yard work like using a chain saw, a hand saw, and throwing large logs in July 2016. McGeehan hurt his wrist in February 2008 after slipping on some ice and had to have surgery. He was eventually cleared to do light duty in the post office, but declined the jobs and disputed his health status with evaluations from his personal doctor. The $75,000 amounts to the benefits received from July 2015 - June 2017.